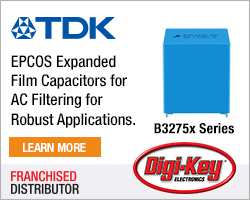 Electric vehicle (EV) chargers, DC/DC converters, industrial motor and IoT applications can benefit from a reduced bill of materials (BoM) says, Allegro MicroSystems, using the ACS71240 current sensor IC. 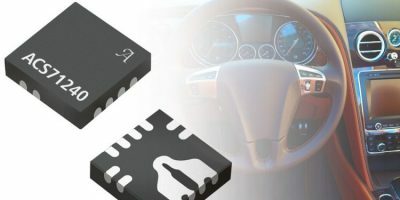 The family of automotive AEC-Q100 qualified, monolithic Hall effect current sensor ICs are small and energy efficient, and offer improvements over Allegro ACS711 predecessors. Areas that have been enhanced include output signal immunity to stray magnetic fields (created by adjacent motors or current carrying wires), improved output signal accuracy (less that ± 1.5 per cent typical) and output signal immunity to noisy supply voltage rails. The ACS71240 family also features an extremely fast, dedicated over-current fault output that has a typical response time of 1.5 microseconds, improving system safety. The fault output detects short circuit events that will prevent damage to MOSFETs or IGBTs in inverter, motor and other switching power electronics applications, explains Allegro MicroSystems. The device is offered in two small form factor packages, each providing different levels of galvanic isolation. The first is the 3.0 x 3.0mm wettable flank QFN package which can be used on voltage rails up to 120V DC. 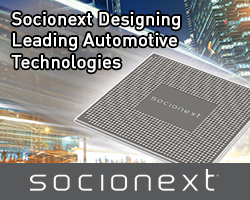 This package option enables solder joint inspection required in zero PPM automotive applications. The second, is the standard footprint SOIC8 package which is UL certified to 2400V RMS of isolation. It offers a working voltage of 420V DC or 297V RMS. 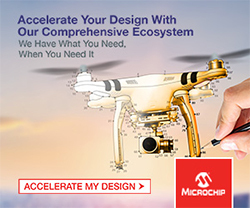 The ACS71240 family is designed to replace shunt resistors, operational amplifiers, current transformers and voltage isolators in applications that require small form factor, monolithic sensors. The integrated sensors eliminate discrete components that demand PCB area, saving both cost and board real estate. The sensors are offered for use on 5 V or 3.3 V power supplies. Allegro MicroSystems specialises in power and sensing technologies. It focuses on green energy, advanced mobility and motion control systems.